It is with a heavy heart that we announce the passing of Chi-Sham (Sam) Chan, who left us on January 6th, 2019 in his home on Salt Spring Island. Grieving his loss are his wife, Jane Chan, and his two sons David and Andrew. 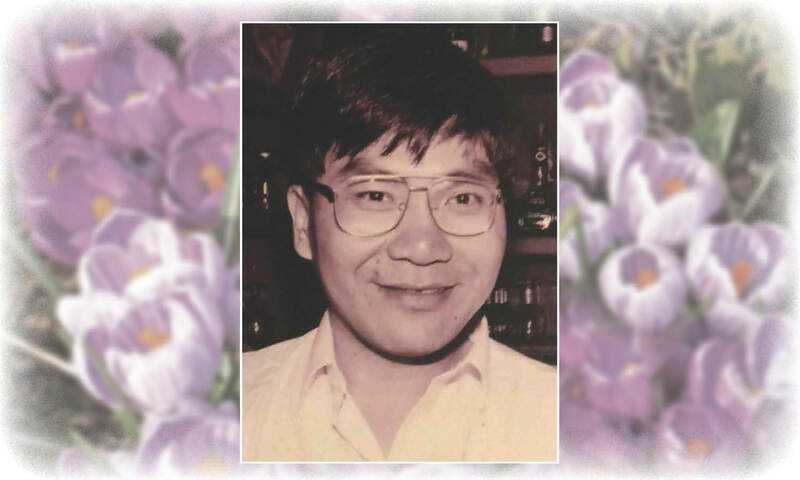 Sam will also be missed by his brother Richard Chan & wife Cindy Chan, brother Ming Chan and Katherine Chan, sister Winnie Kwong & husband Ted Kwong, sister Terry Tse & husband Michael Tse, sister Ida Chan & husband Gary Kiner, as well as his many nephews and nieces. He was predeceased by his father, Lam, mother, Kawai, and older brother Charles. Sam was born and raised in Hong Kong, and later immigrated to Canada alongside his brother Charles to attend the University of Victoria in 1972. He was a part of the first graduating class of Computer Science students at UVIC, something he was extremely proud of. Later he worked with his siblings in the Golden Island Restaurant for over 30 years where he oversaw the front of the house. Over the years, he had the wonderful opportunity to interact with and get to know the many members of the community. Above all else, he cherished the many relationships he made with the locals through his work. Mischievous, witty, caring and smart, Sam managed to make a positive impact on the lives of many. Known for his impeccable memory, he also offered a helping hand to whoever might have needed it whether it was with his time or wisdom. A celebration of his life will be held on February 16th at 1pm at the Legion. I just heard about Sam’s passing and am greatly saddened by the news. I had the pleasure of knowing Sam during the four years my wife and I lived on Saltspring Island. He had a great sense of humor. My biggest regret is that I did not take the time to know him better. Condolences to his wife, sons, and family. He will be missed.